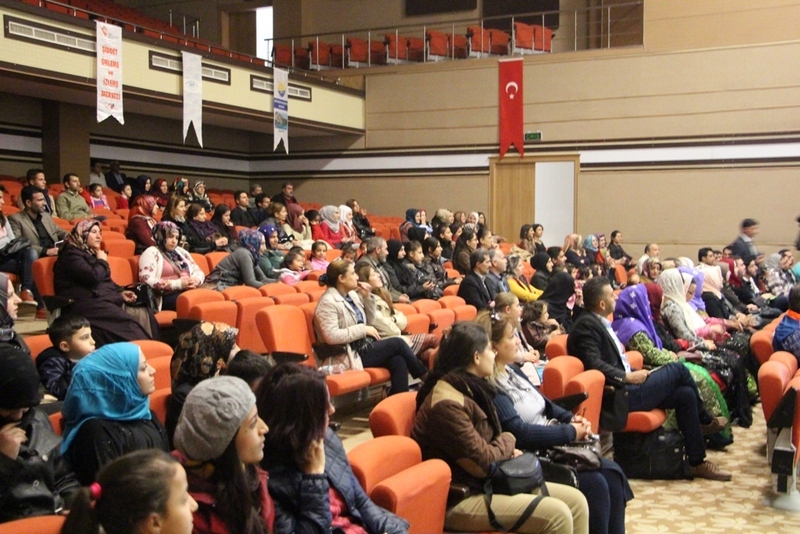 Joint special event was held on 26th November by IMPR Humanitarian and Urfa provincial directorate of Family and Social Affairs within the scope of 16 days activisim campaign for the preventation of violence against women. 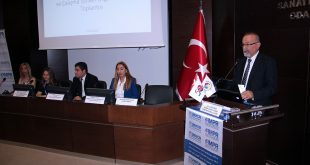 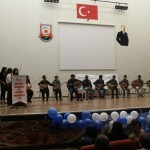 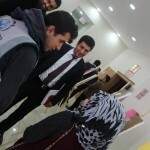 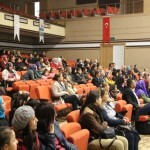 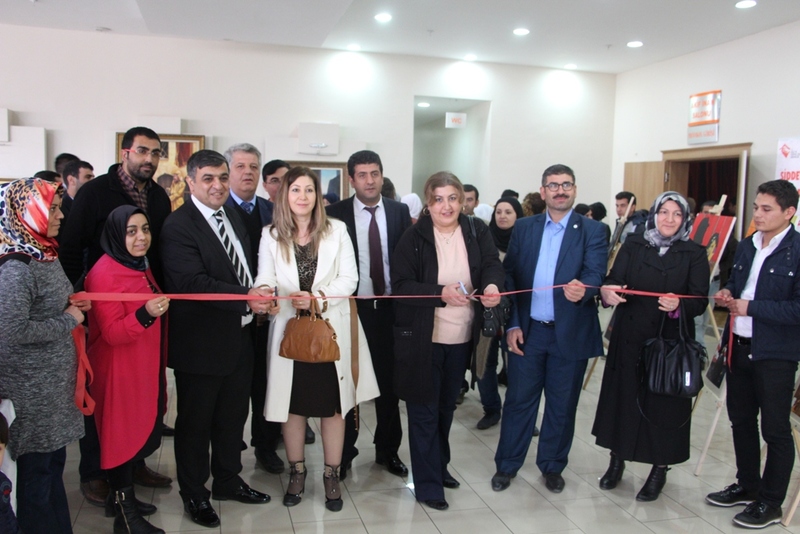 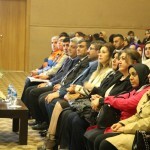 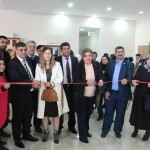 Ensar Sener, Sanlıurfa Provincial Immigration Administration director, Mahmut Sonmez, AFAD provincial director and Murat Demirkol, Provincial Directorate of Sanliurfa Family and Social Affairs also attended the event and Murat Demirkol, indicated that the women play important role of shaping our social life. 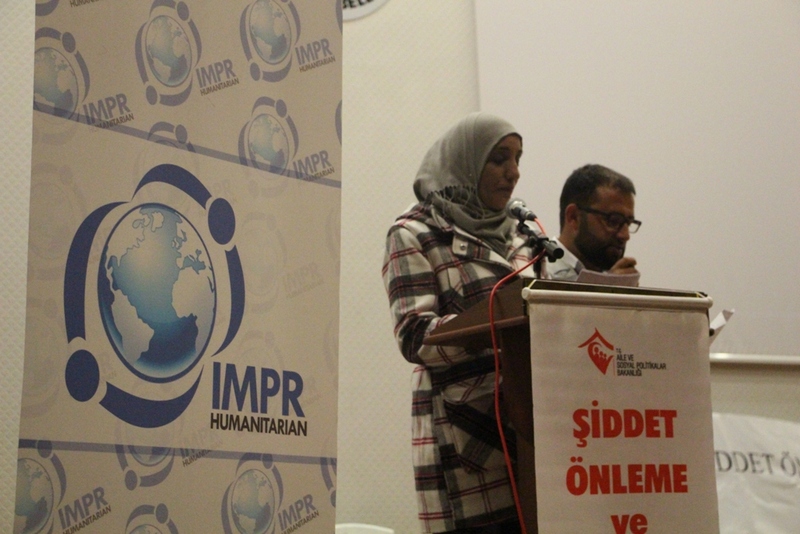 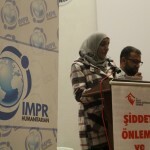 IMPR Humanitarian Women Community Center Officer Kevser Issa, gave an opening speech and she said that “ In the world the violence against women increasingly continue day by day. 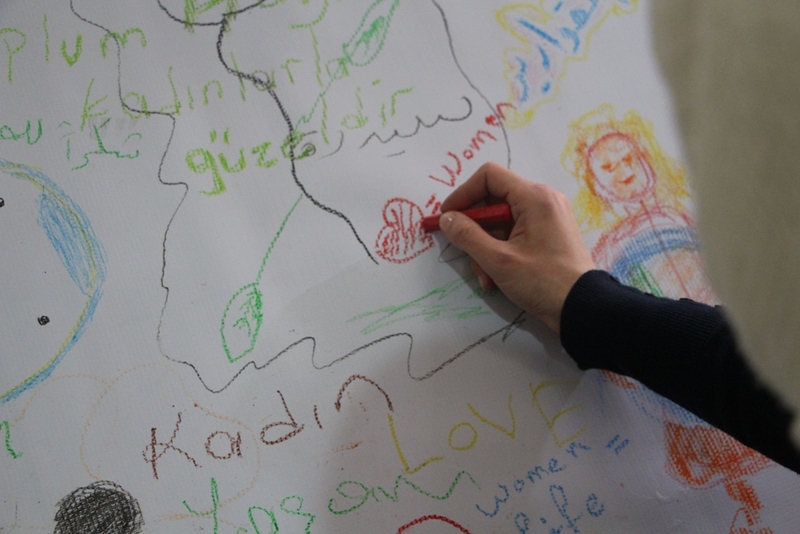 As well as the women are exposed to violence in their daily life, the women who are in war circumstances, they are also exposed violence brutally. 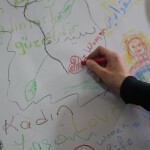 For this reason, we are against the every type of violence towards women. 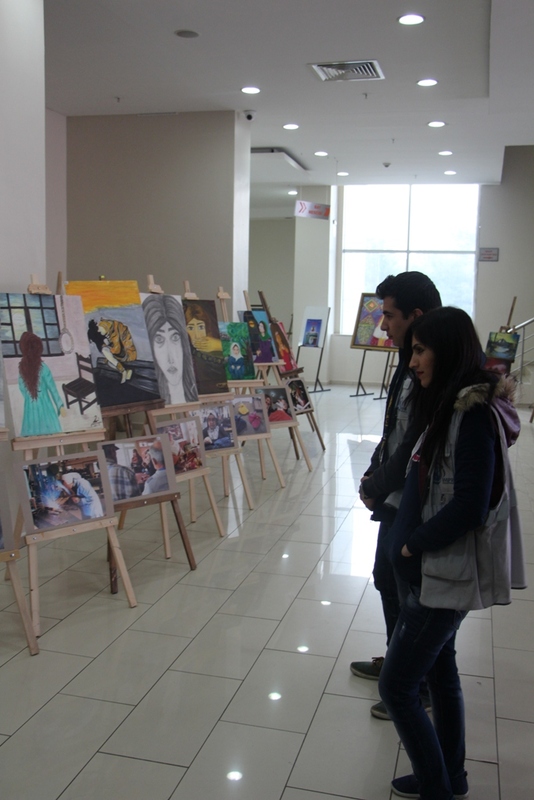 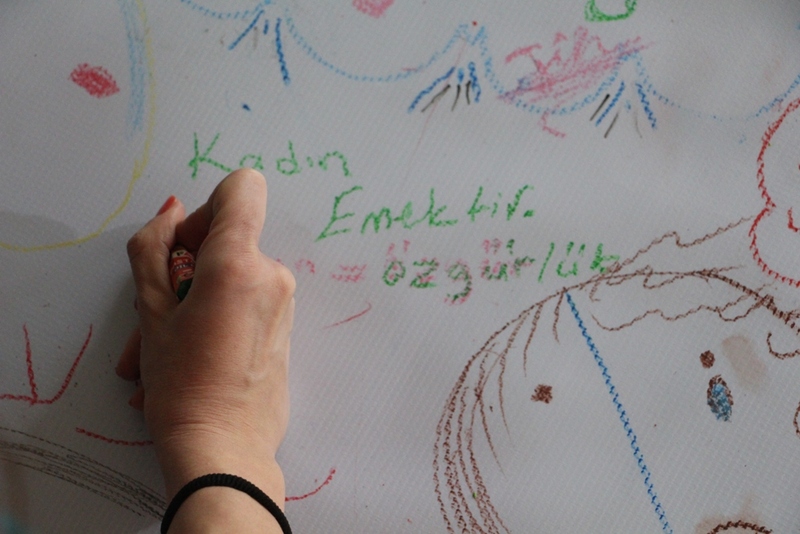 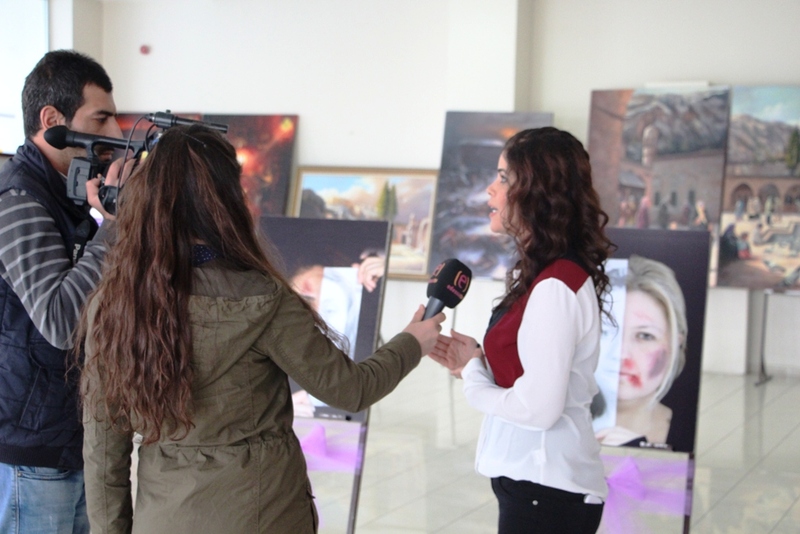 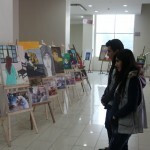 Within the scope of event, painting exhibition which consists of 16 paintings describing gender based violence was held by IMPR Urfa CC activity beneficiaries. 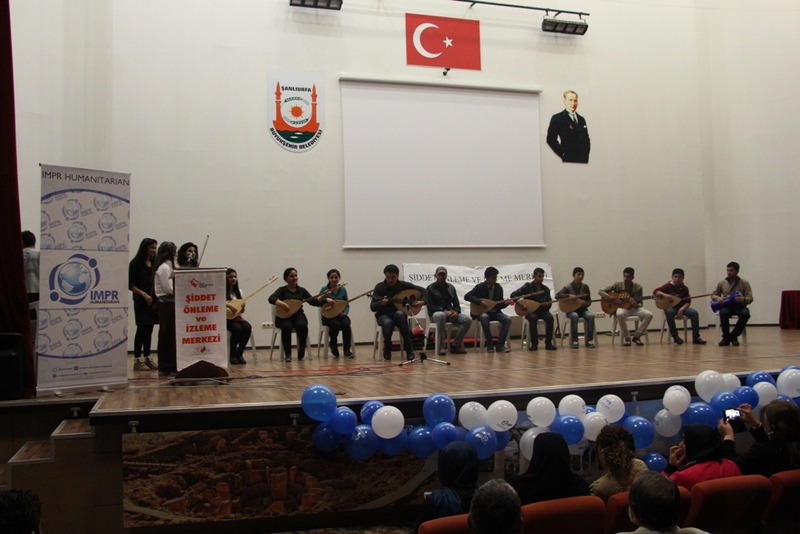 Different type of performance was delivered by IMPR Humanitarian Youth Orchestra, theatre and dance group. 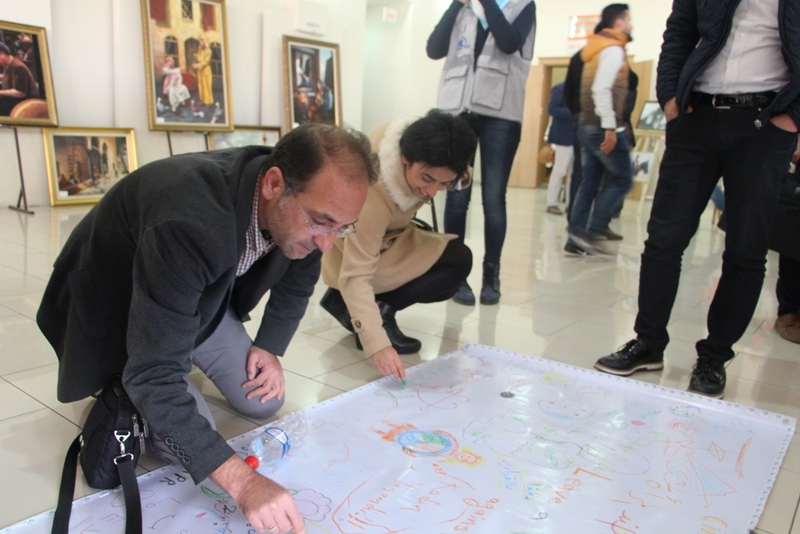 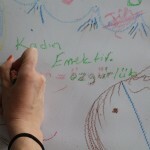 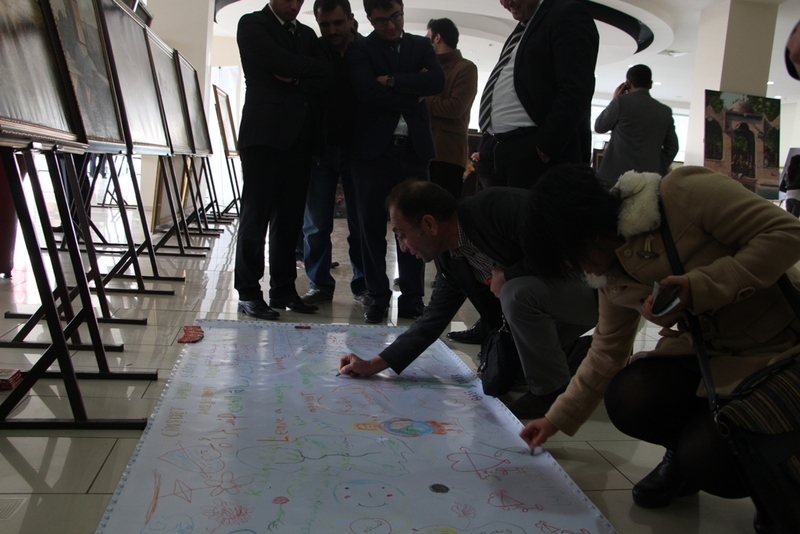 Moreover, throughout the event, all male and female participants left a message on the canvas related with gender based violence. 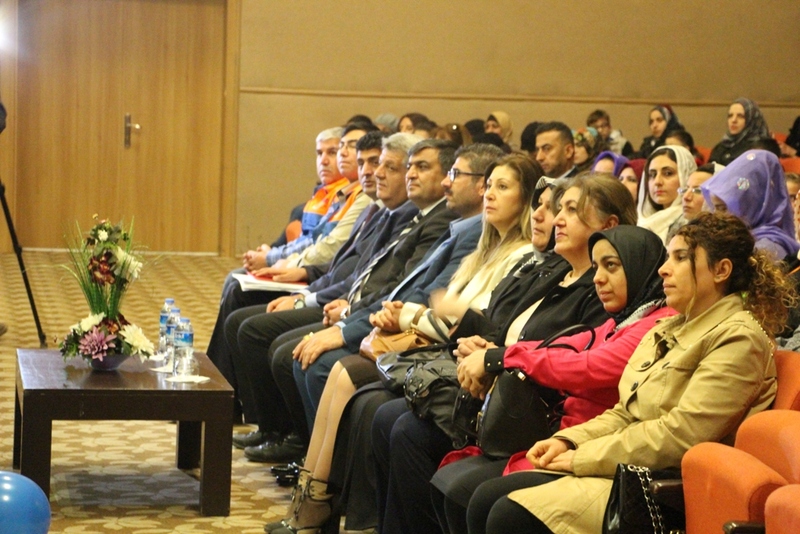 Syrians and local community showed great interest in the event which was organized to raise the awareness of violence against women both in local community and in the Syrian community. 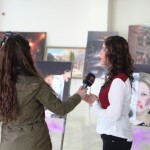 On the other hand, news agencies also showed interest to the event. 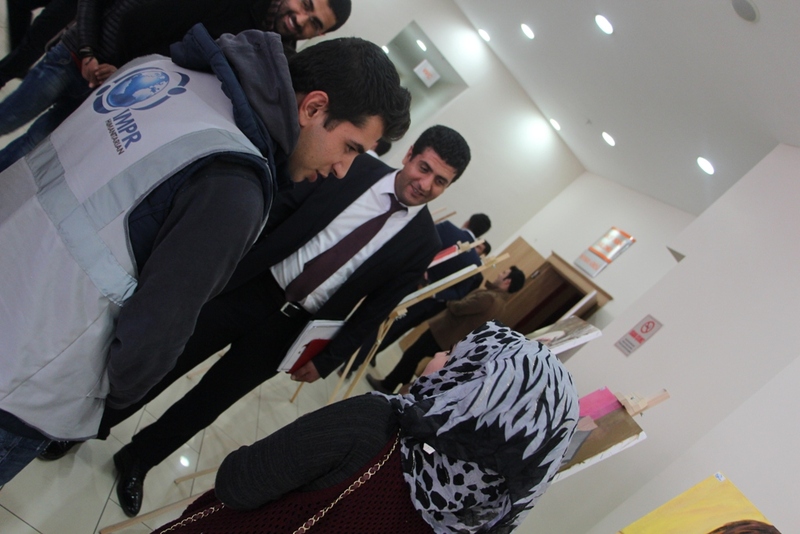 IMPR Humanitarian 16 days of activisim about preventaion the gender based violence from 25th of November until 10th December will continue in Urfa CC to raise the awareness through out various sessions.